The goal of the Biodiversity Heritage Library for Europe (BHL-Europe) project is to make published biodiversity literature accessible to anyone who’s interested. 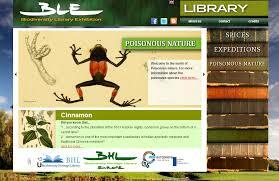 The project will provide a multilingual access point (12 languages) for biodiversity content through the BHL-Europe web portal with specific biological functionalities for search and retrieval and through the EUROPEANA portal. 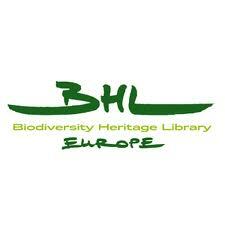 Currently BHL-Europe involves 28 major natural history museums, botanical gardens and other cooperating institutions. BHL-Europe is a 3 year project, funded by the European Commission under the eContentplus programme, as part of the i2010 policy. The libraries of the European natural history museums and botanical gardens collectively hold the majority of the world’s published knowledge on the discovery and subsequent description of biological diversity. However, digital access to this knowledge is difficult. The BHLproject, launched 2007 in the USA, is systematically attempting to address this problem. In May 2009 the ambitious and innovative EU project ‘Biodiversity Heritage Library for Europe’ (BHL-Europe) was launched. BHL-Europe is coordinated by the Museum für Naturkunde Berlin, Germany, and combines the efforts of 26 European and 2 American institutions. For the first time, the wider public, citizen scientists and decision makers will have unlimited access to this important source of information. The search function lets you search for the most frequent metadata: title, author, year and scientific name. will lead you to its bibliographic page. From there, you can simply read the book or download it in various formats.